We pride ourselves on being able to help patients overcome any concerns with their oral health, as nothing makes us happier than seeing them achieve a healthy and confident smile. Sometimes, a patient’s dental issues may require more extensive work over a longer period of time, which is why we offer our renowned full mouth rehabilitation procedures. Full mouth rehabilitation procedures combinine the artistry of cosmetic dentistry with the innovative science of neuromuscular dentistry. Our dental health care professionals help you achieve a smile that is correctly aligned, functional, and beautiful. Neuromuscular dentistry focuses on hard and soft tissues to correct any misalignment between your teeth, jawbones, head and neck muscles. We use advanced computerised diagnostic scanning technology to accurately measure your jaw in its stressed and relaxed positions. Using these measurements, our team are then able to determine your optimal jaw position. The next step in this process involves correcting the jaw so it sits in its ideal place. Our team does this through the creation of an orthotic (a clear aligner that fits over the teeth and gently repositions the jaw) or through the application of dental restorations, including porcelain veneers, crowns, onlays or dental implants. Our restorations are made from a high-grade ceramic material, allowing them to be exceptionally strong and natural in appearance. 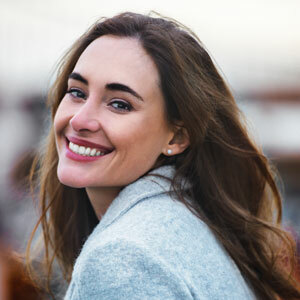 Once the jaw alignment process is complete (usually after several weeks or months, depending on the extent of the condition), our dentists can then begin to restore your bite with ceramic restorations, creating the straighter and more confident smile you’ve dreamed of. Often, a misaligned jaw can cause a number of health complaints, including headaches, neck and shoulder pain, jaw pain when eating or a clicking sound when you talk, eat or yawn. As a result, full mouth rehabilitation procedures don’t just create a more beautiful smile, but they also lead to better overall health. Do you require full mouth rehabilitation? It’s time you finally achieved a more beautiful and confident smile, and our team are here to help! Schedule an appointment with us by calling 03 9650 2909 today.